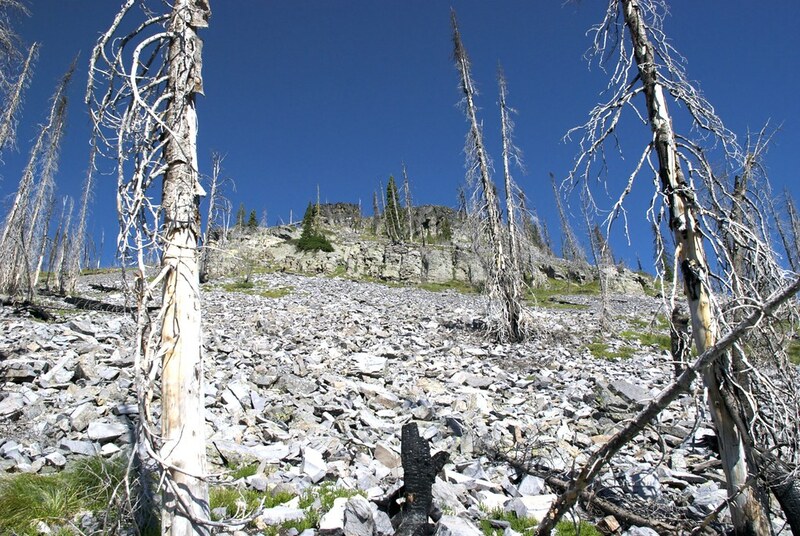 Perhaps in another year or two I will visit the Thompson Peaks again to view the progress of renewal. 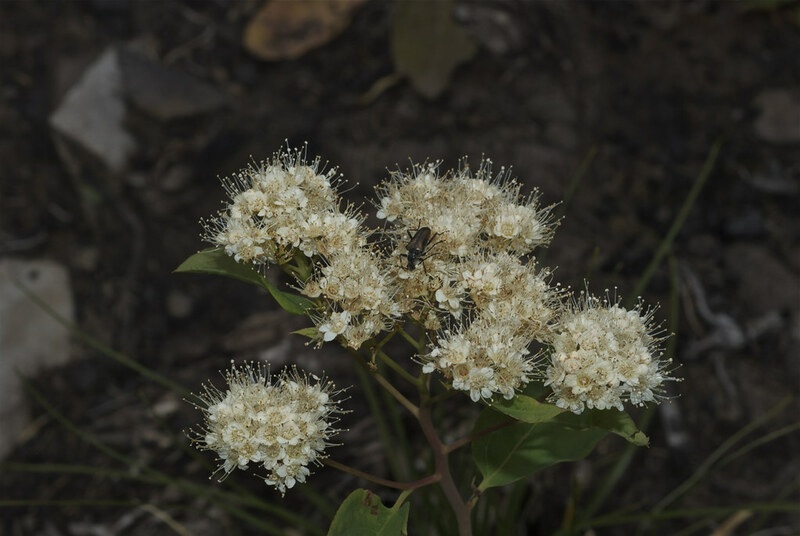 In the mean time, here is a sort of medley of views from the top of the peak and the flowers found throughout the area, shown in no particular order. 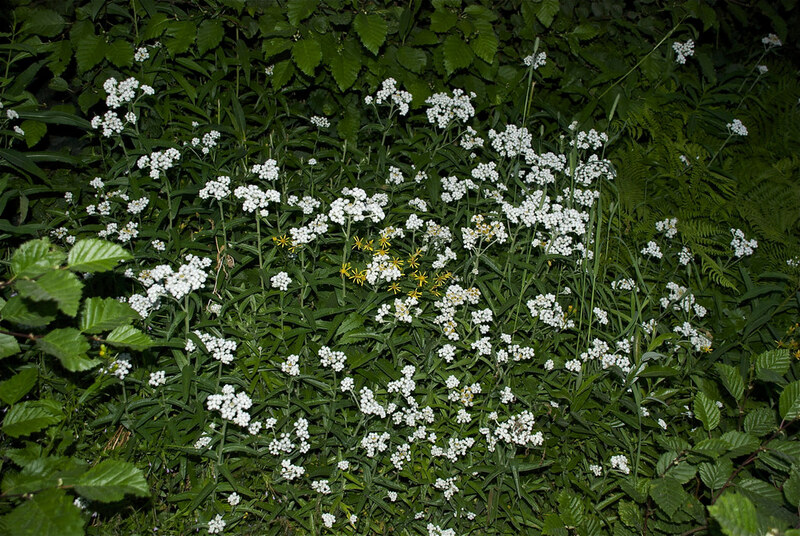 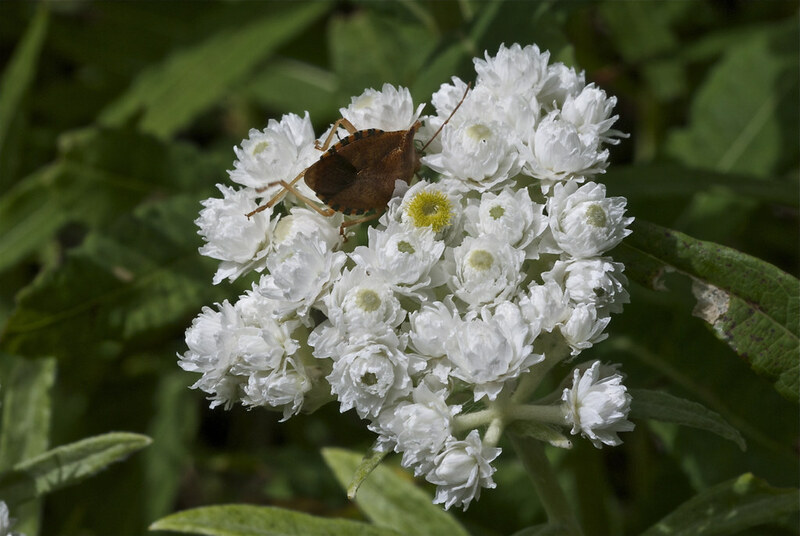 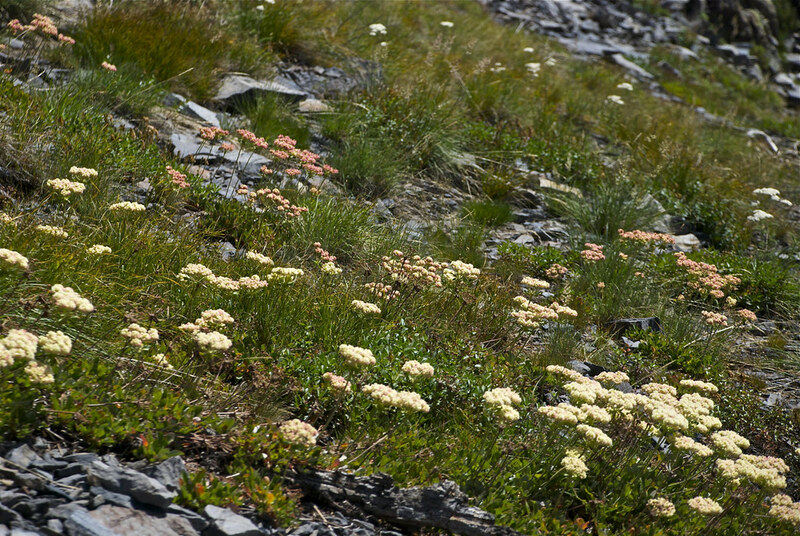 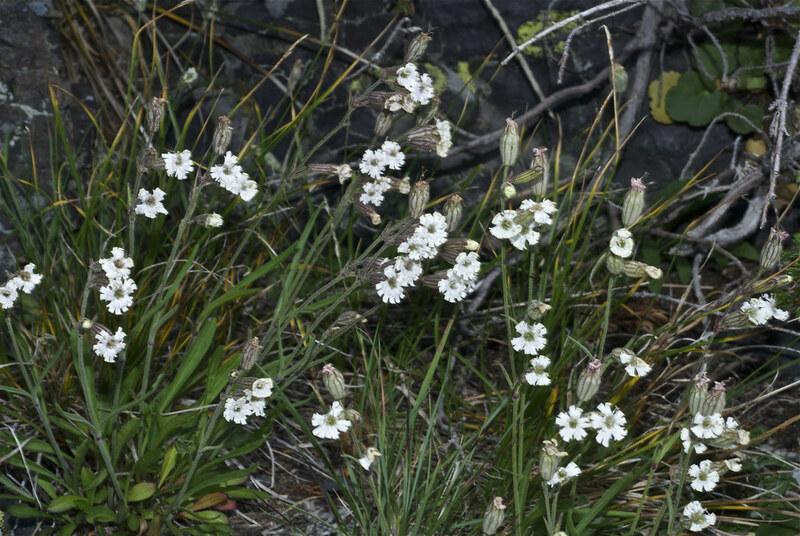 Nature seems to have a special fondness for the bare areas just off the very top of mountain peaks on their south sides and often adorns such places with flowers. 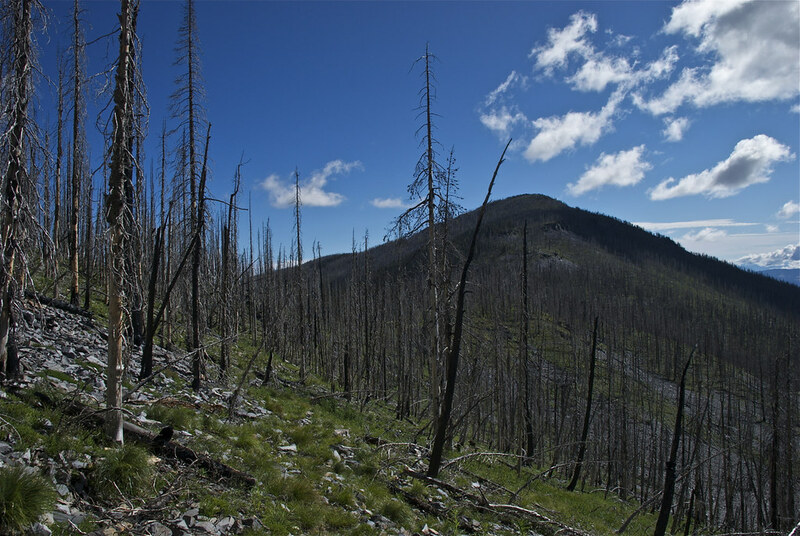 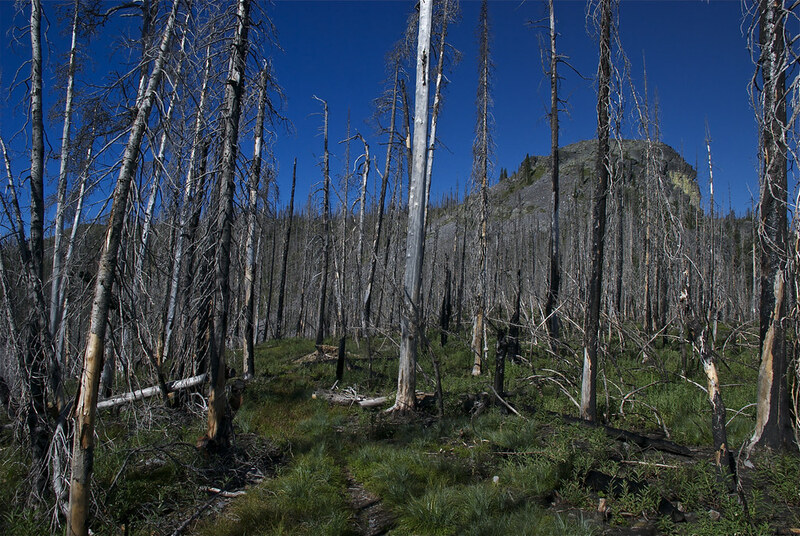 The trail to the Thompson Peaks was all but completely obscured by the fire and seeing it, it’s impossible to know if the Forest Service will attempt to save it or whether it has been lost forever, which would be a shame. 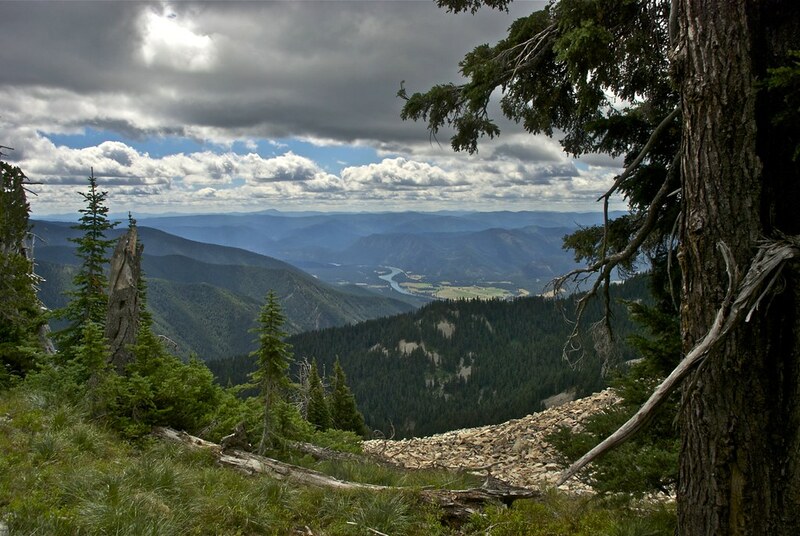 From the trail head that I chose to use at the gate that closes off USFS road 5582 on the North Fork of the Little Thompson River drainage, trail 310 meets trail 1309 after about a mile and from there to Little Thompson Peak is another mile or so. 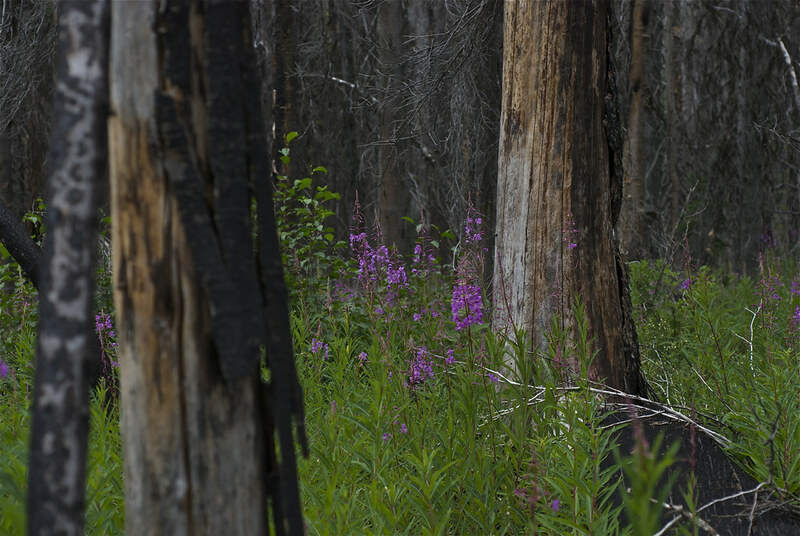 Had I not been there before and if I hadn’t had a bit of experience with forest trails I could not have found it. 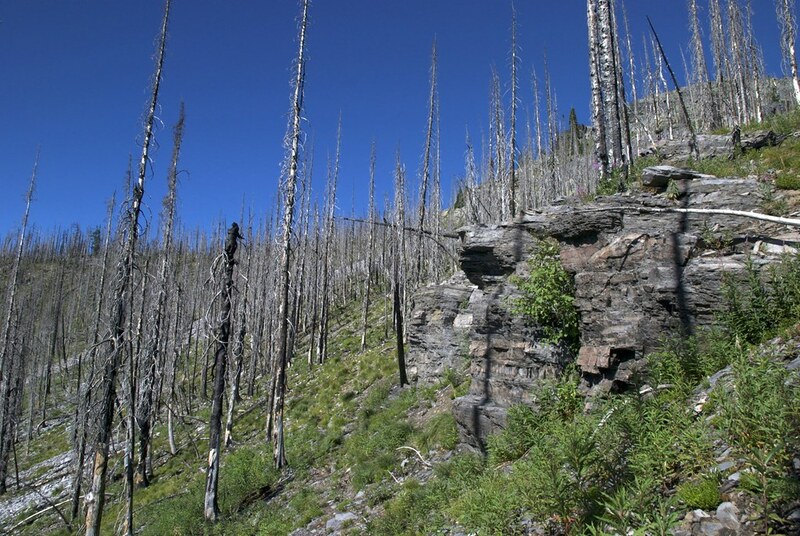 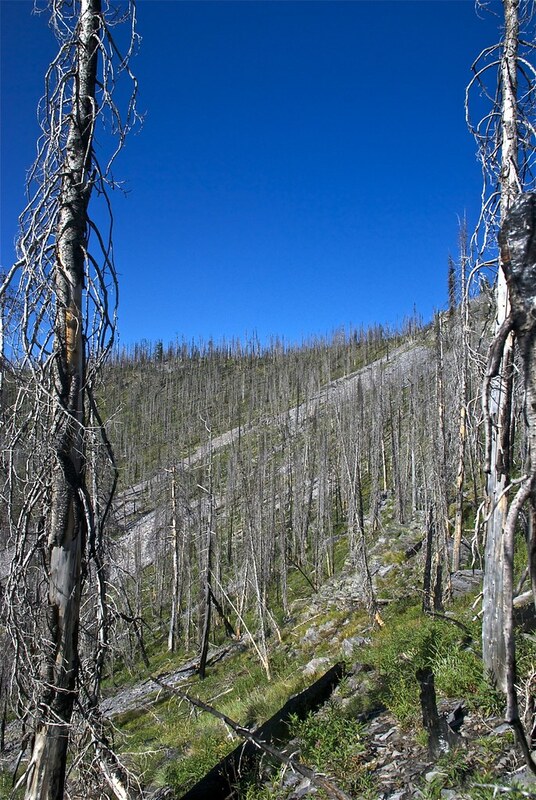 An old blaze mark on a burned tree, the charred remains of some old down timber that had been sawed from the trail in the past, a dim picture of the trail corridor through fire-killed trees in places and a few sections where the tread of the trail could still be seen were enough clues to follow what was the old trail. 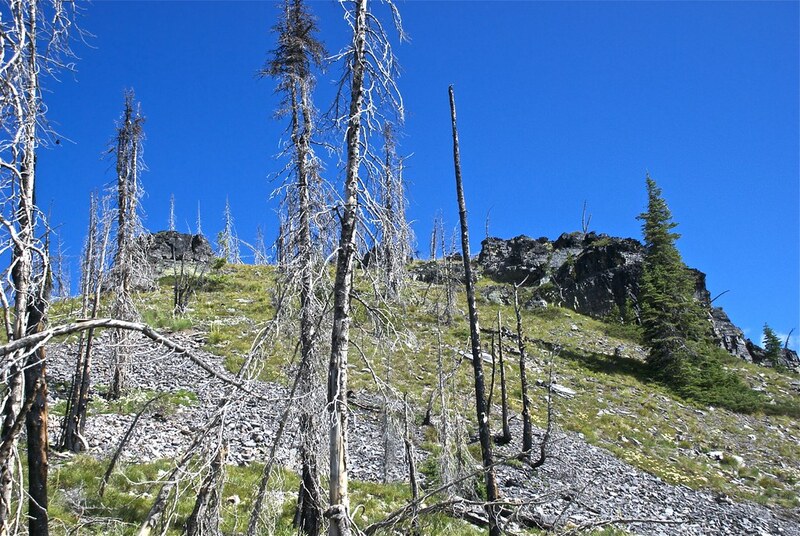 The following photos were taken along that trail to the place where one must leave the trail to follow a short ridge to the peak. 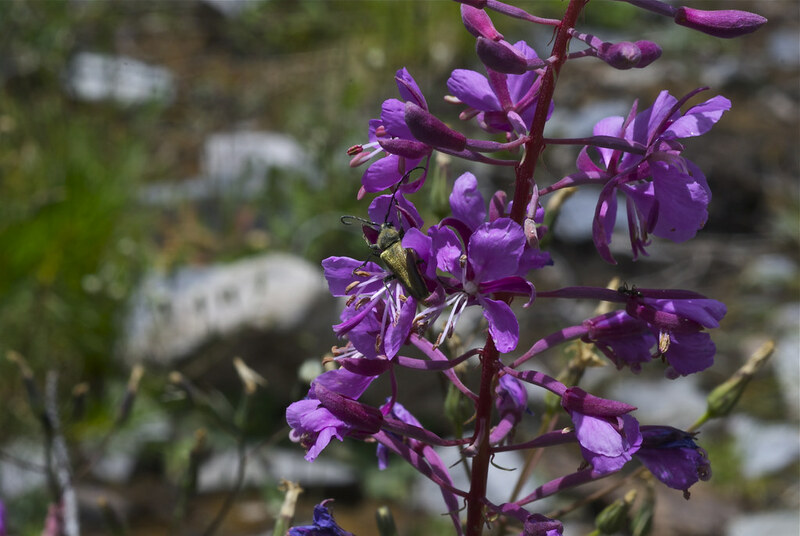 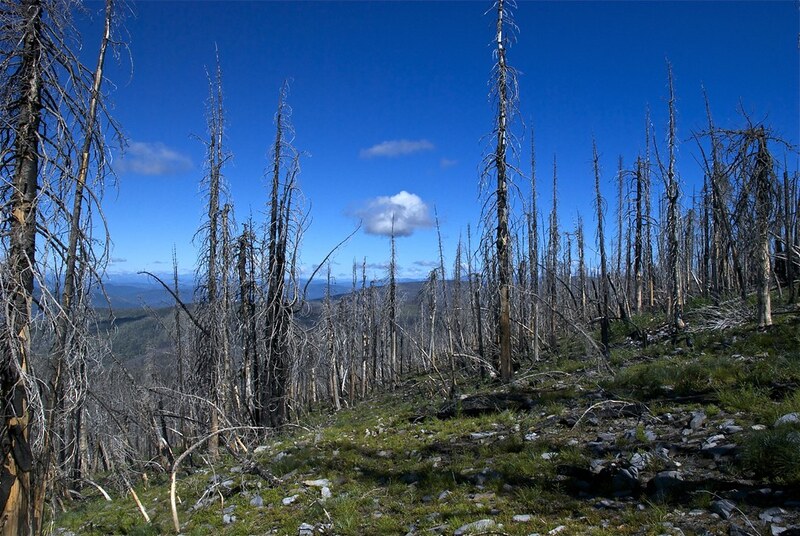 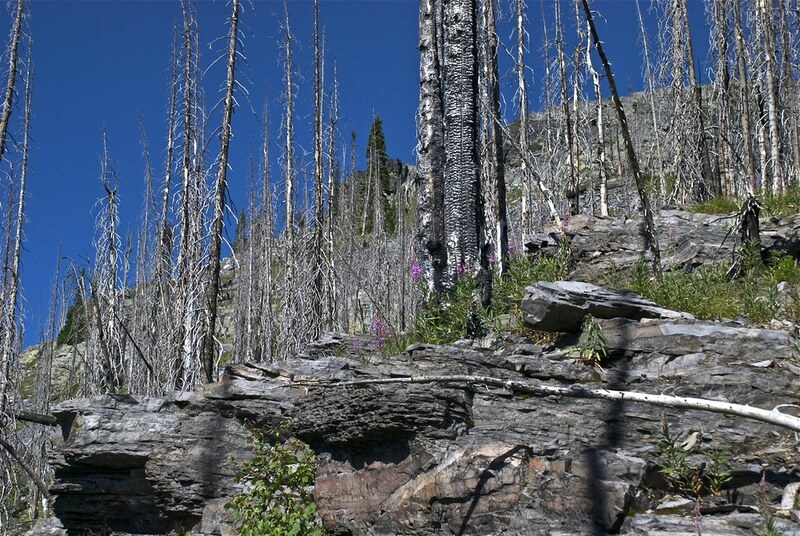 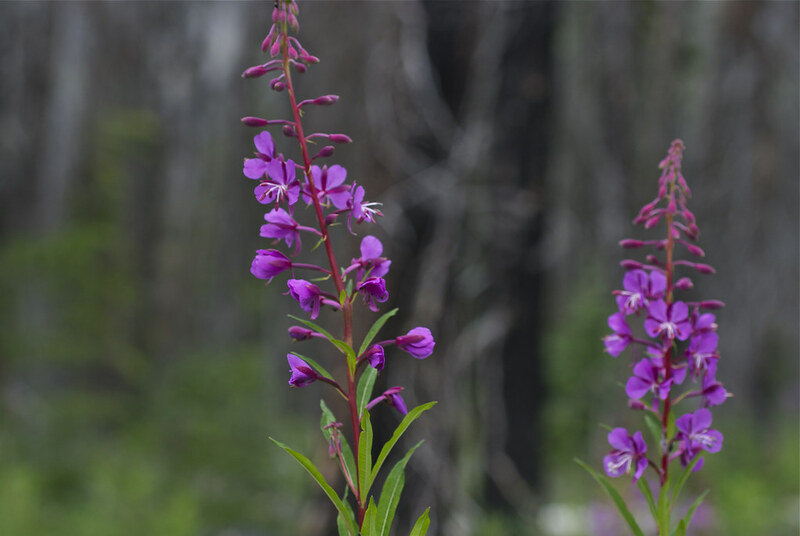 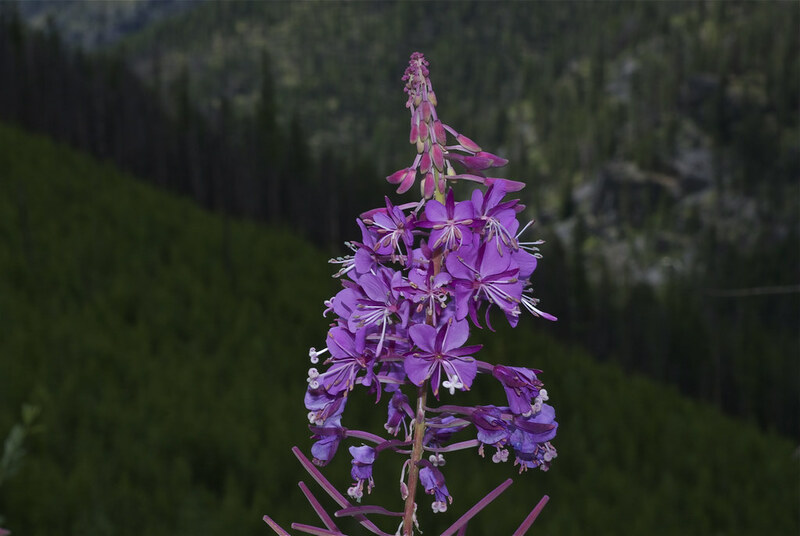 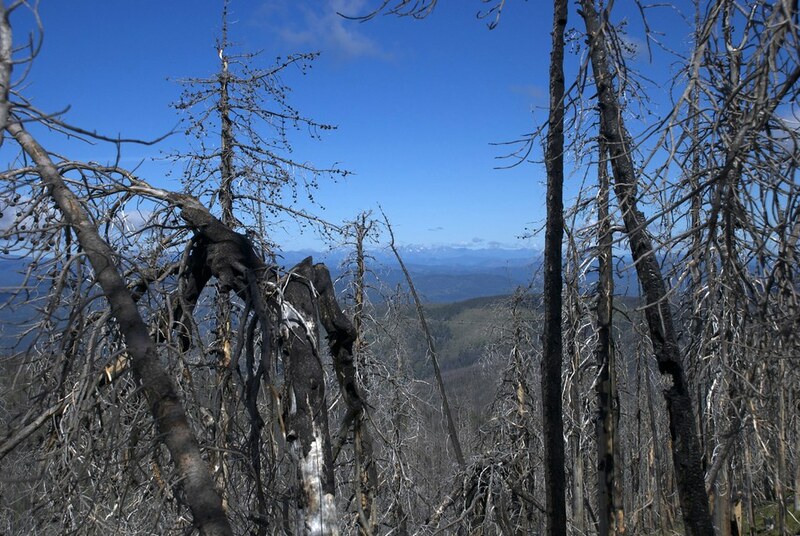 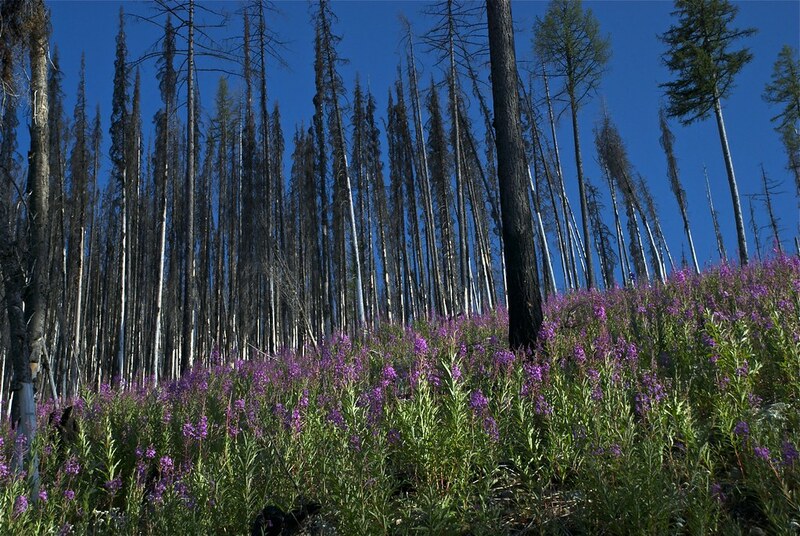 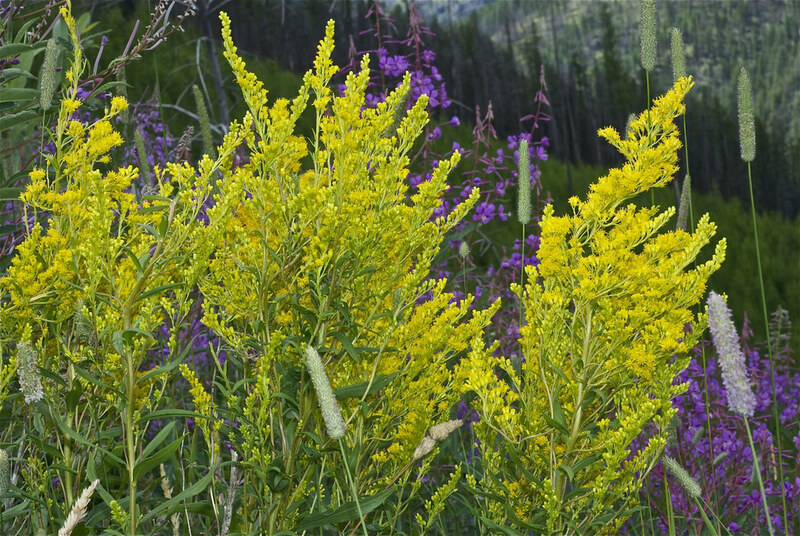 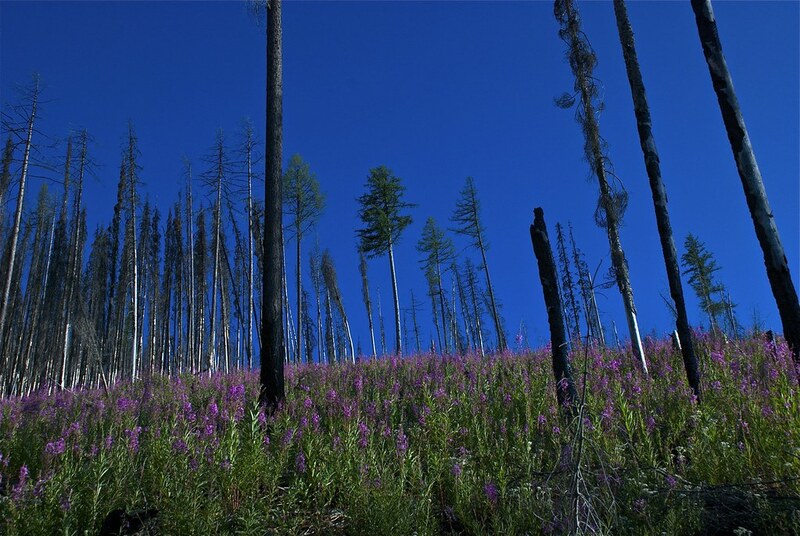 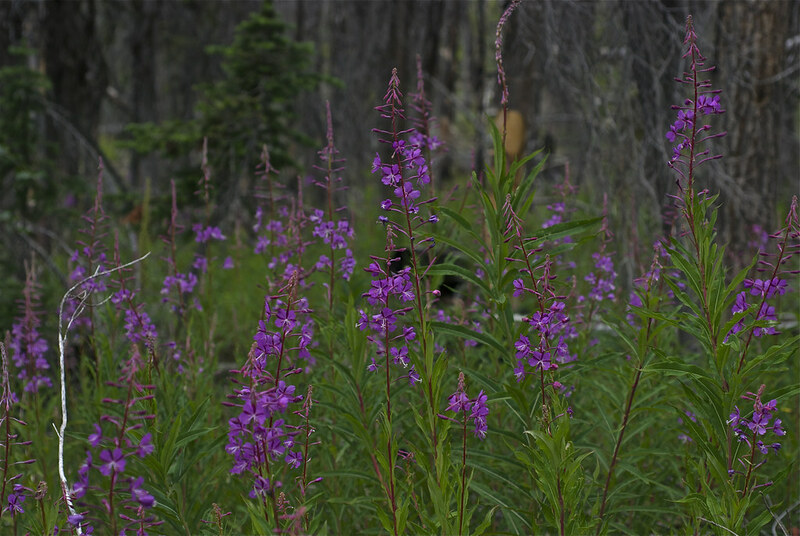 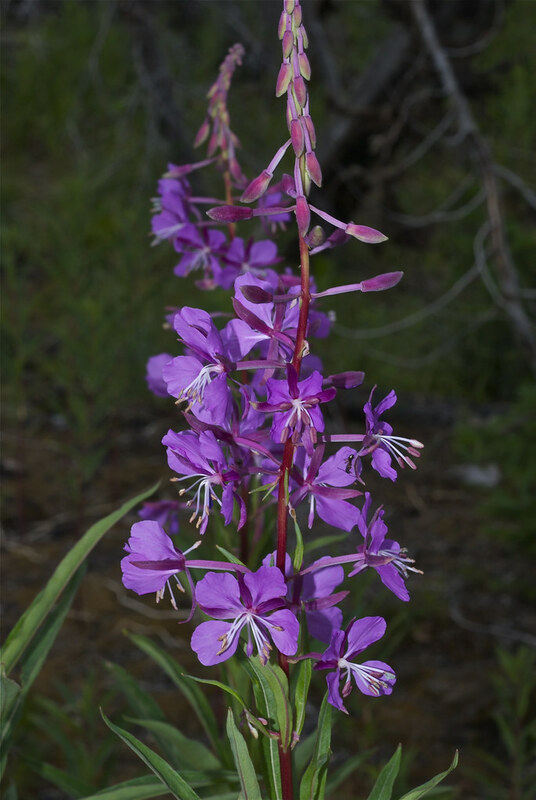 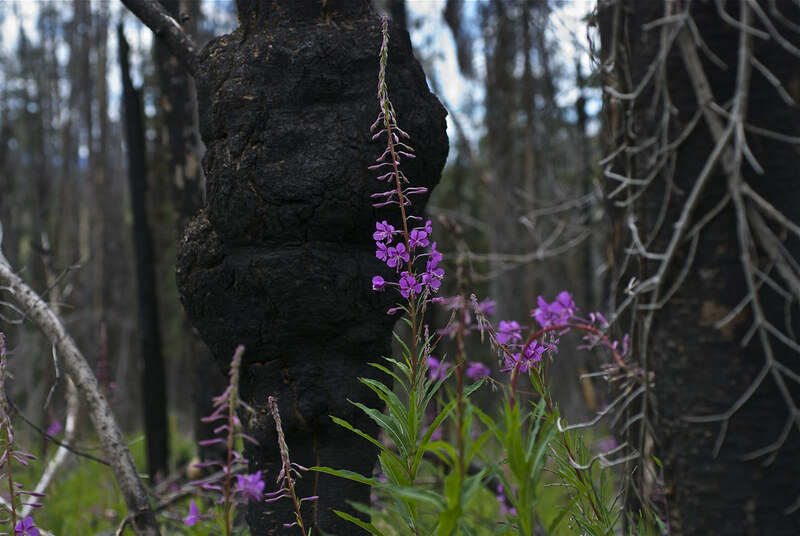 In the area burned by a major fire such as the one that engulfed the Thompson Peaks, one of the first signs of the natural regeneration process is the appearance of fireweed (Fireweed, Chamerion angustifolium or Epilobium angustofolium). 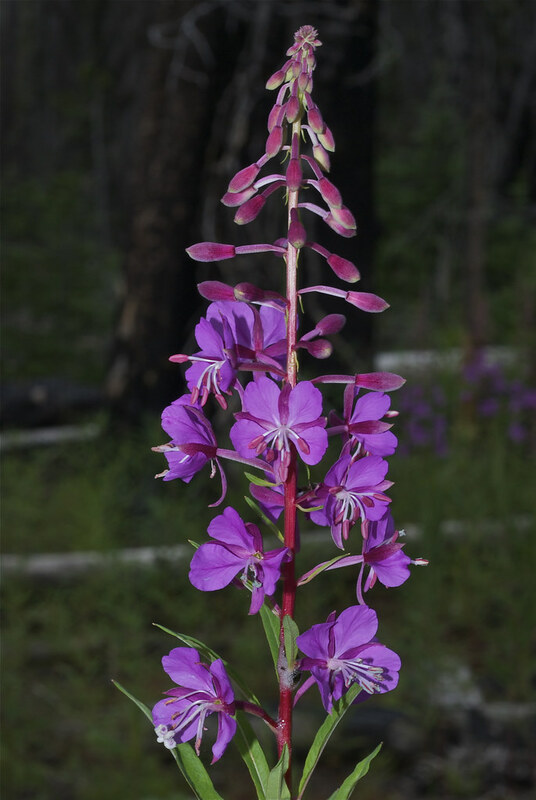 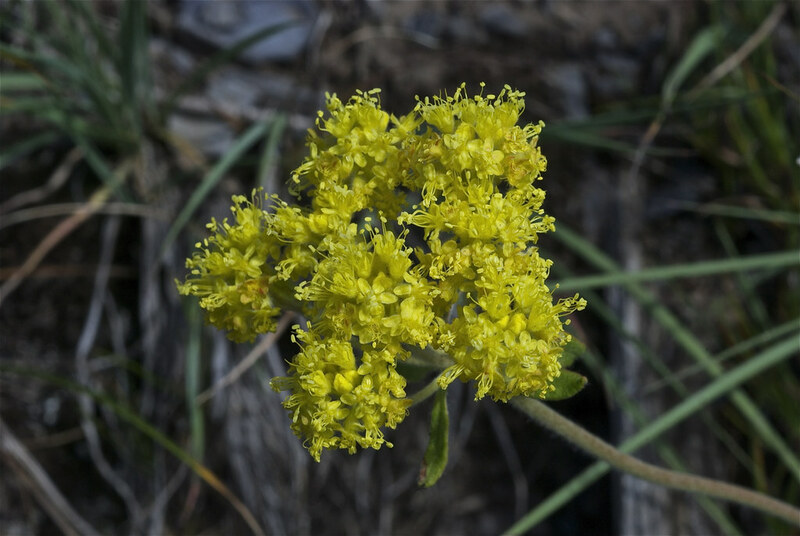 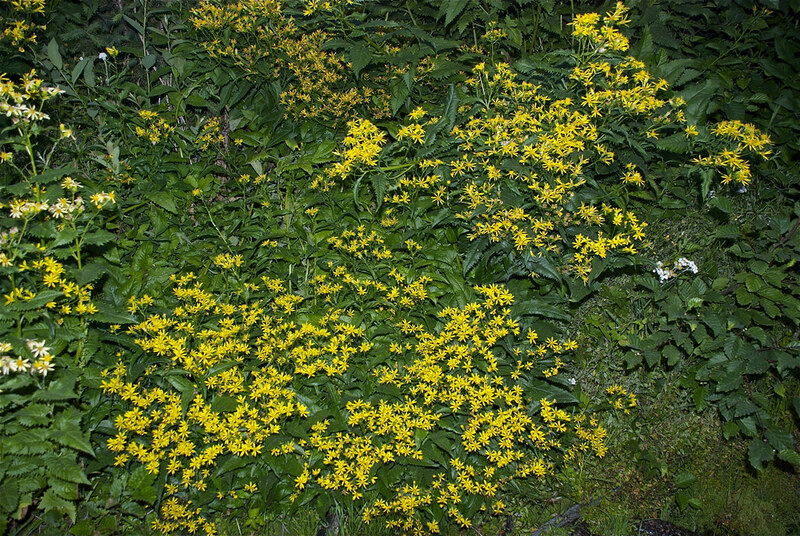 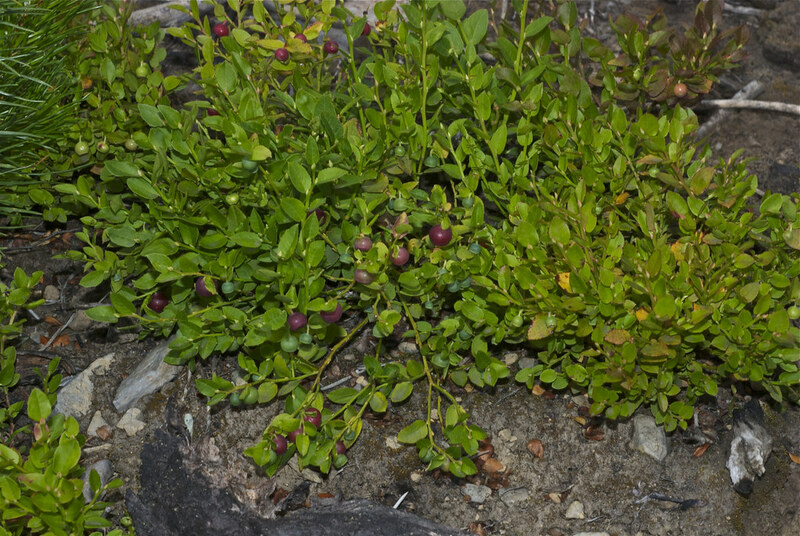 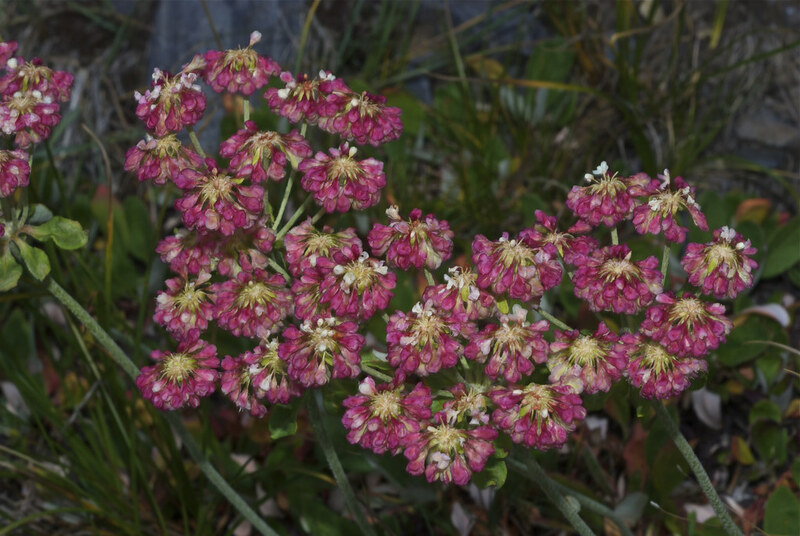 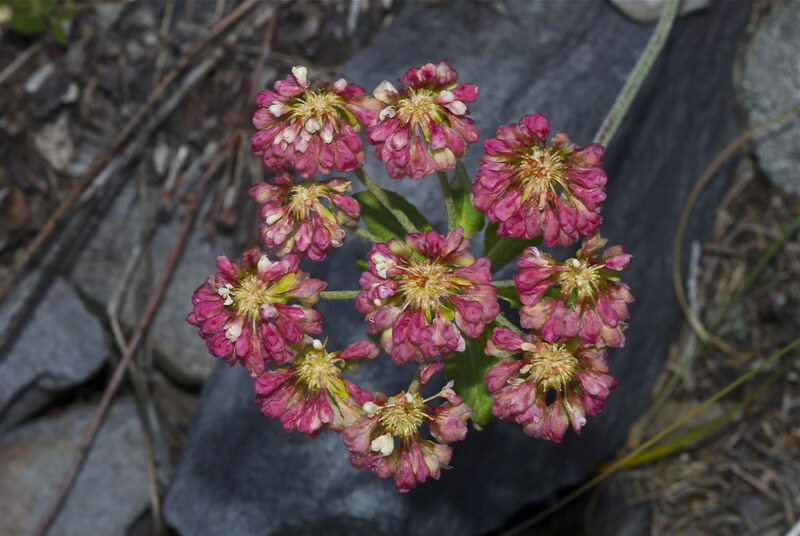 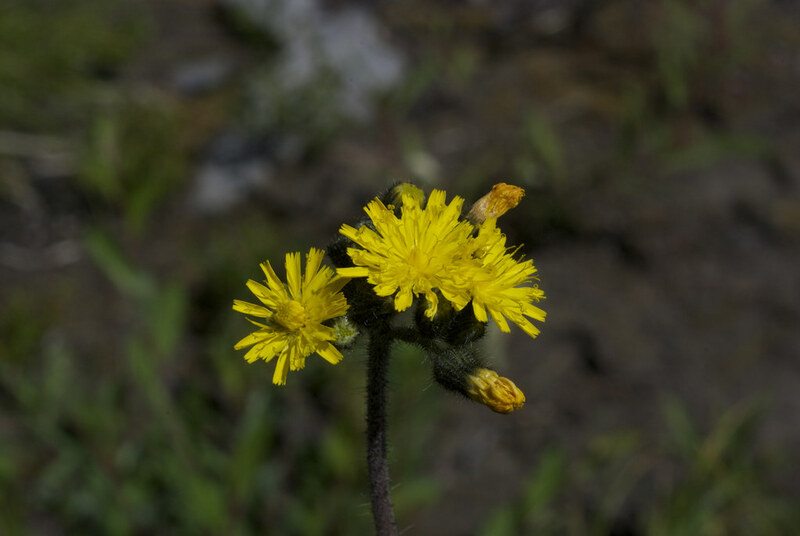 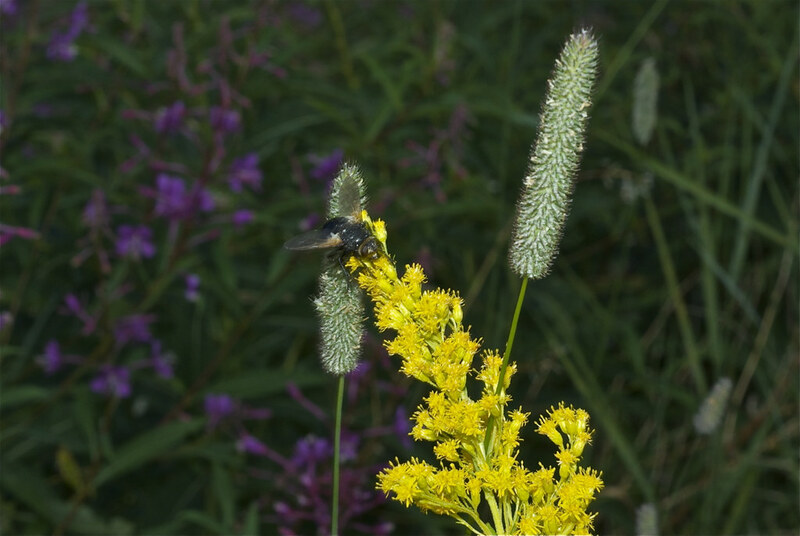 I will post photos of some of the burned area of the Chippy Creek fire next, but to start I think it’s fitting to celebrate this beautiful and very beneficial plant. 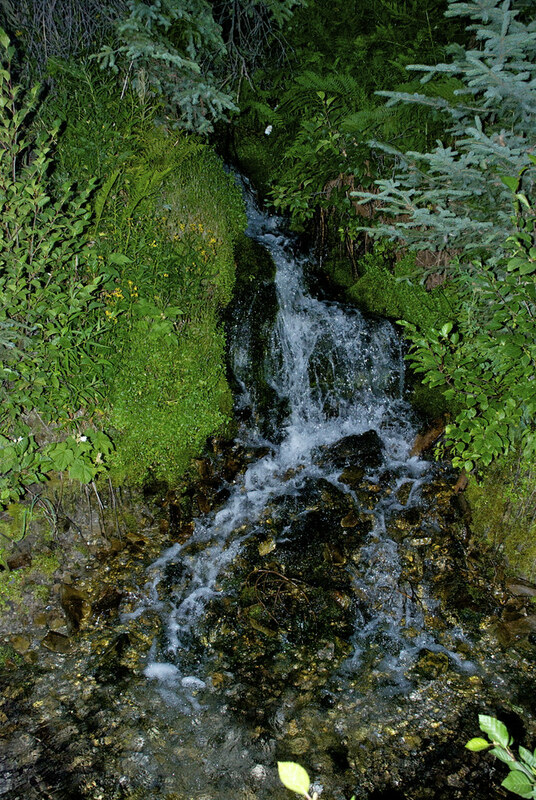 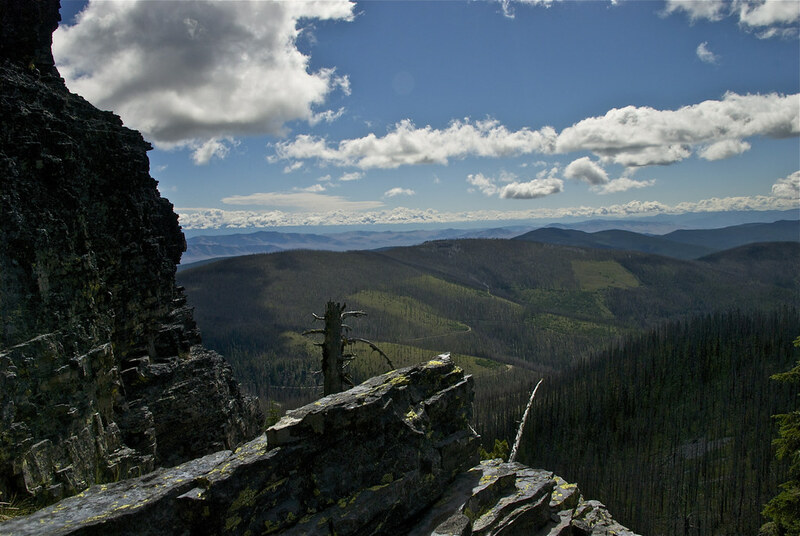 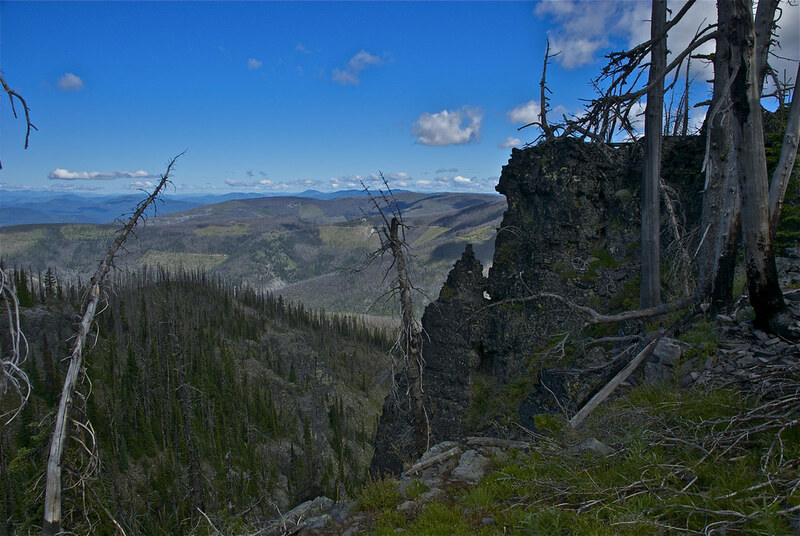 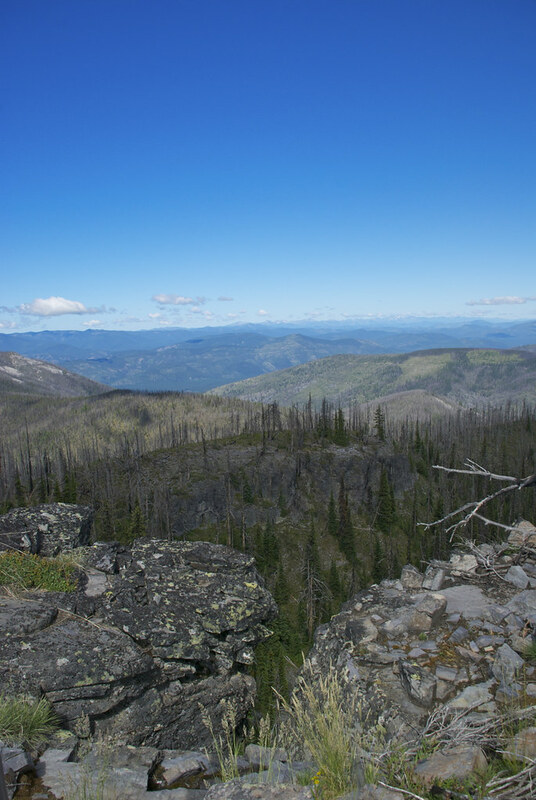 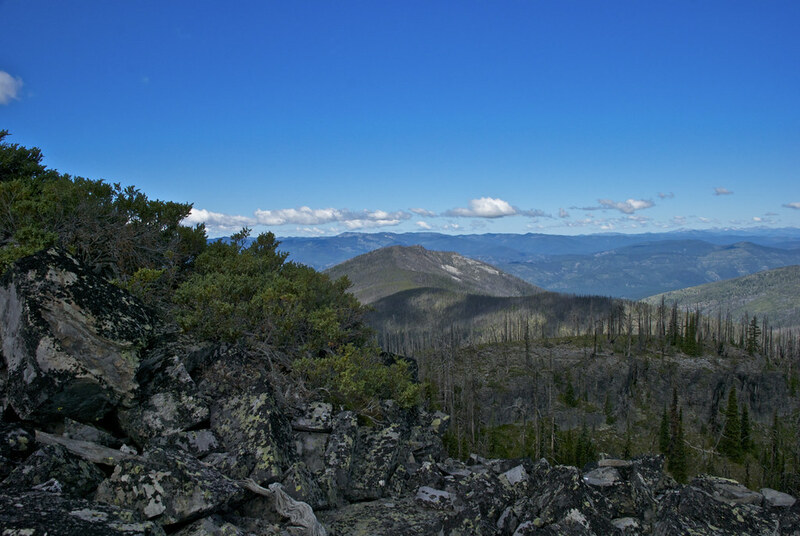 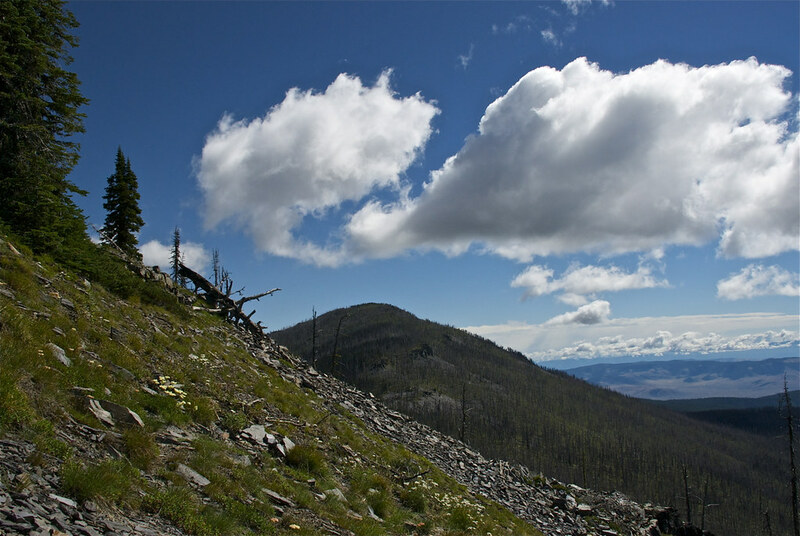 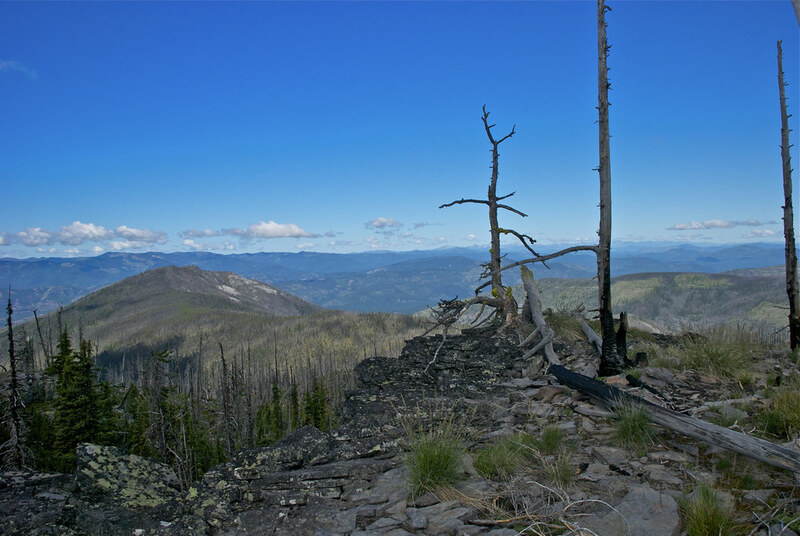 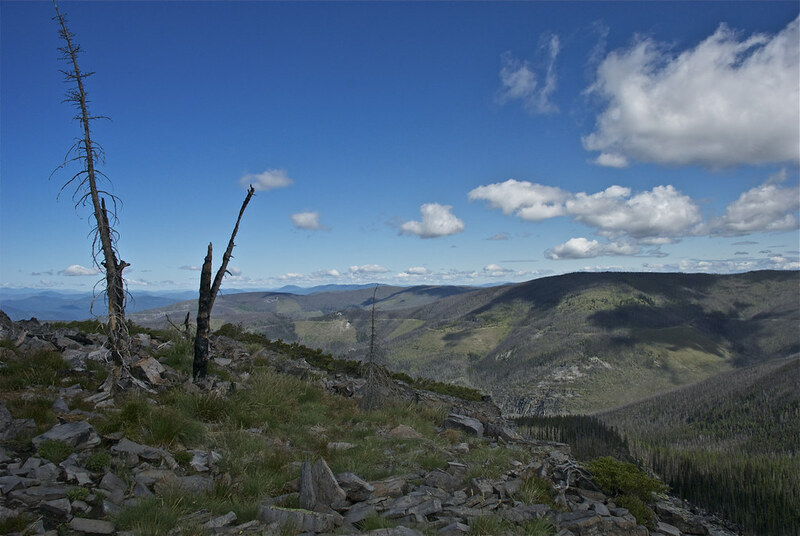 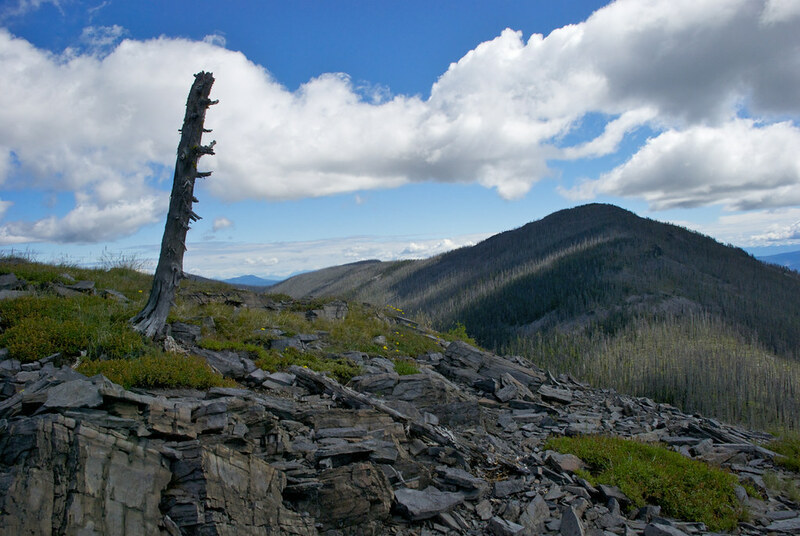 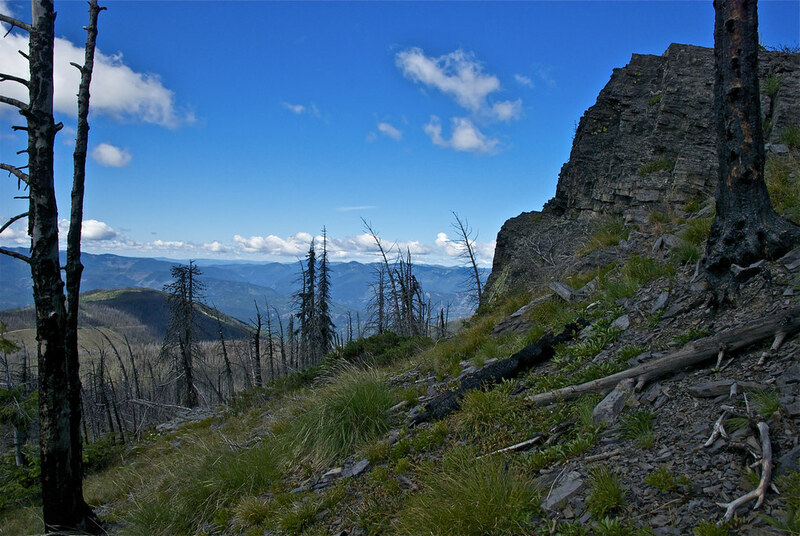 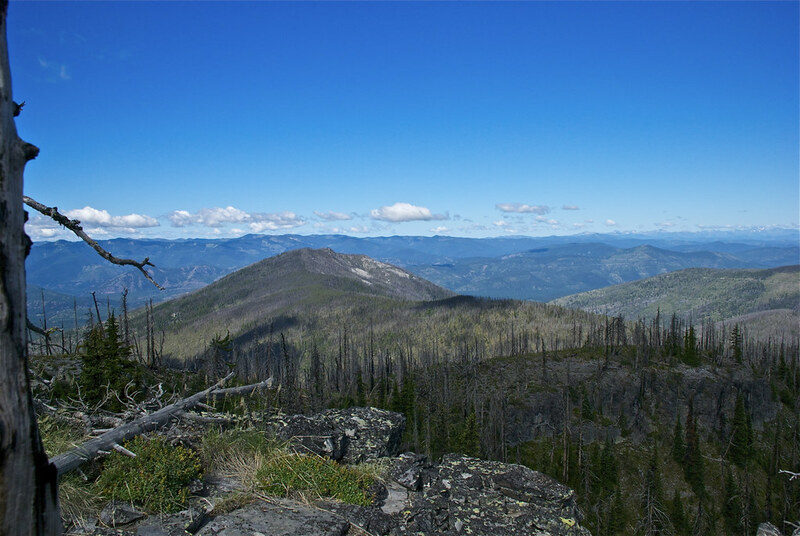 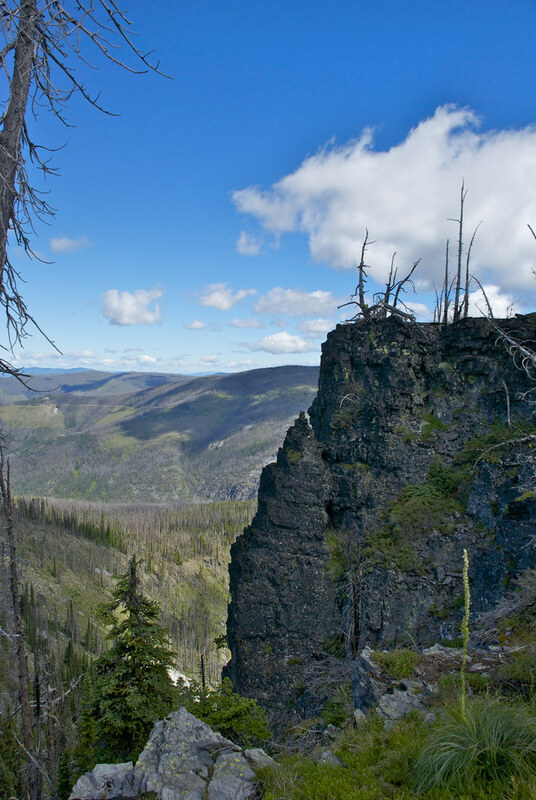 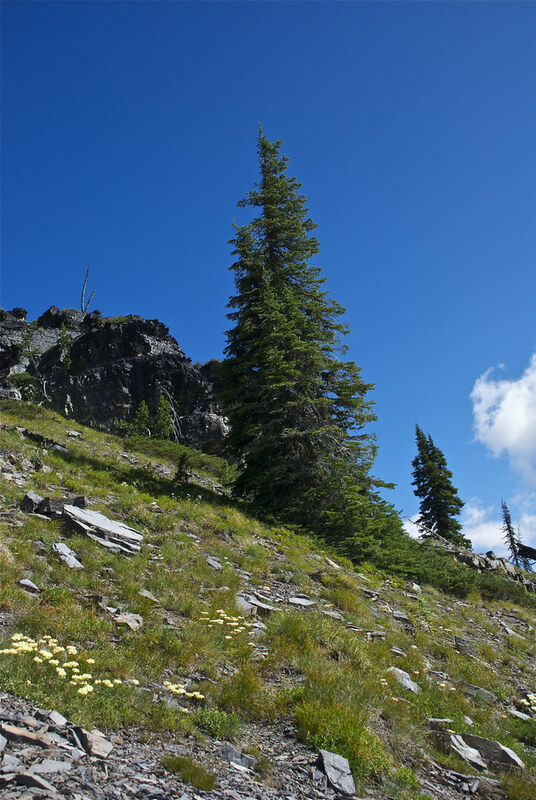 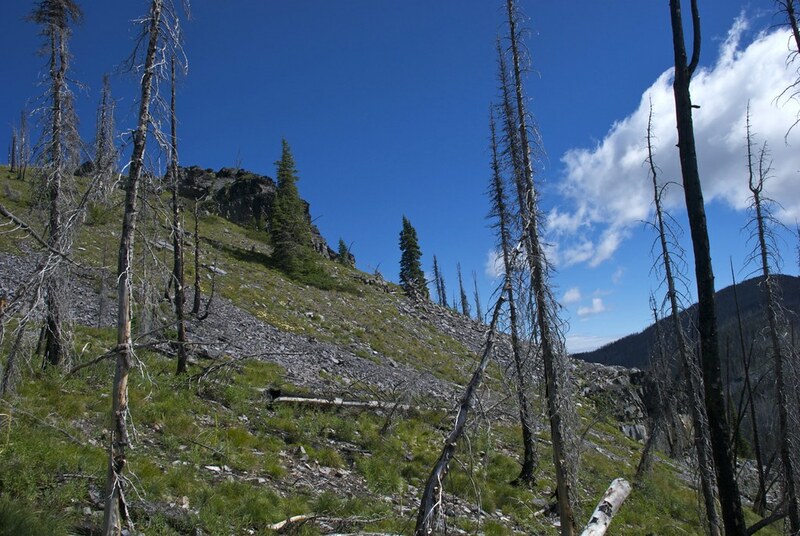 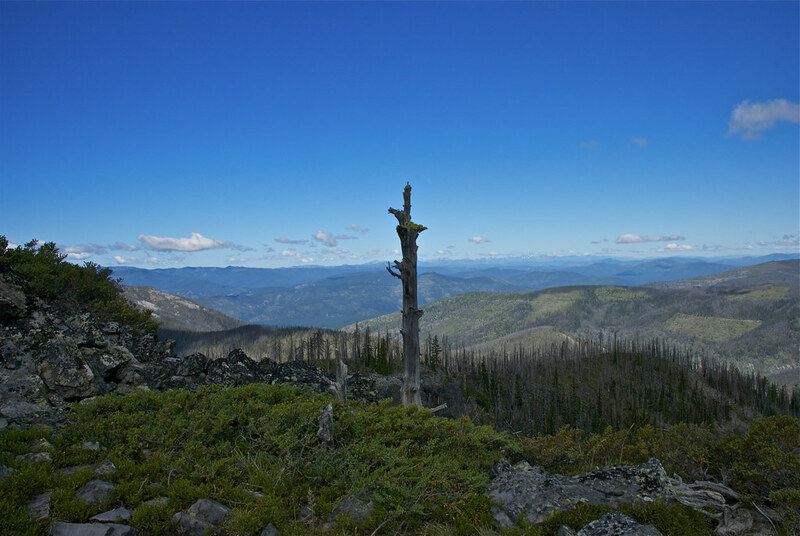 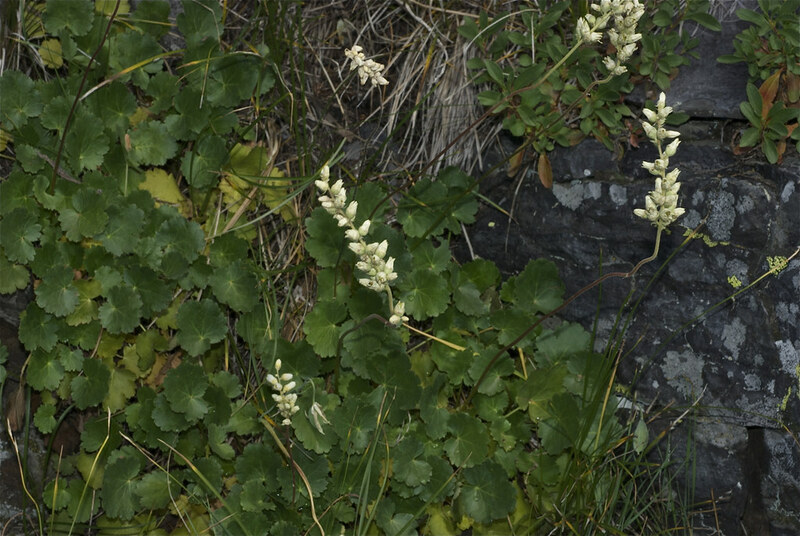 The next few posts will be about a walk on August 3, 2012 on a trail to Little Thompson Peak in the McGregor – Thompson Roadless Area in western Montana. 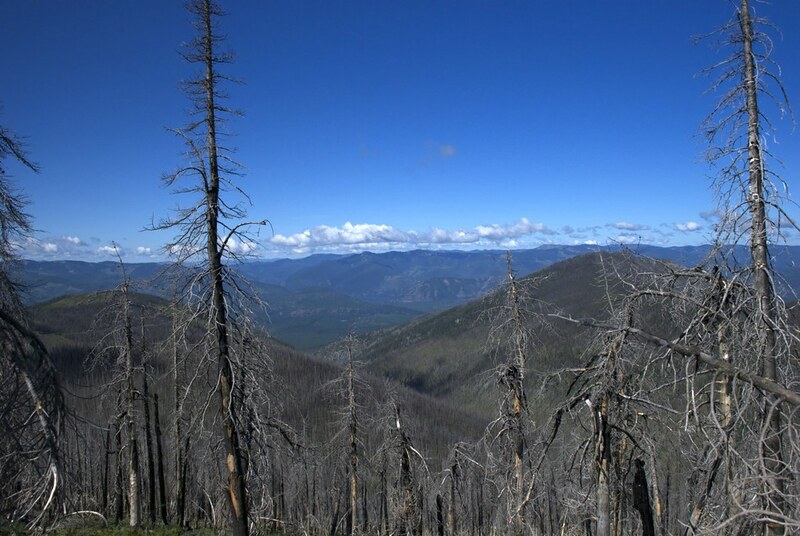 It is one of two 7,000 foot peaks in that area and is located just about in the middle of an area burned by the Chippy Creek Fire of 2007. 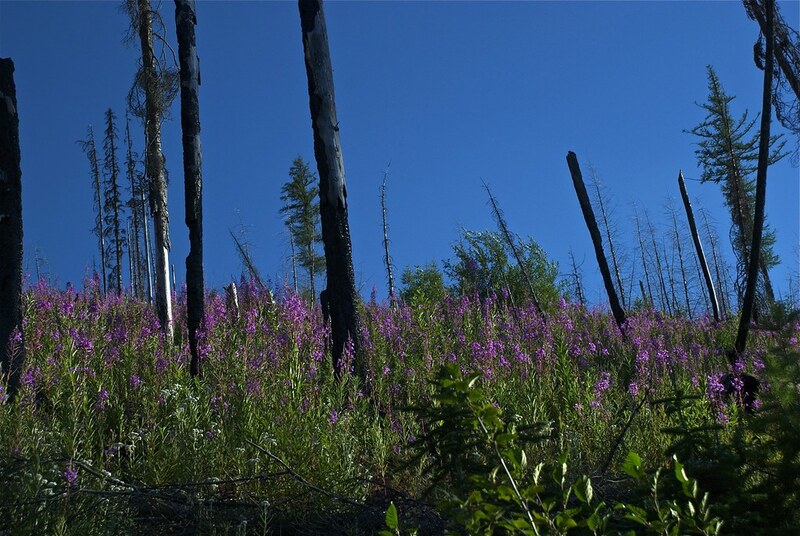 That fire began in a valley to the northwest of the peaks on August 3, 2007 and during the following twenty-some days burned an area of the Lolo National Forest fifteen miles long and ten miles wide. 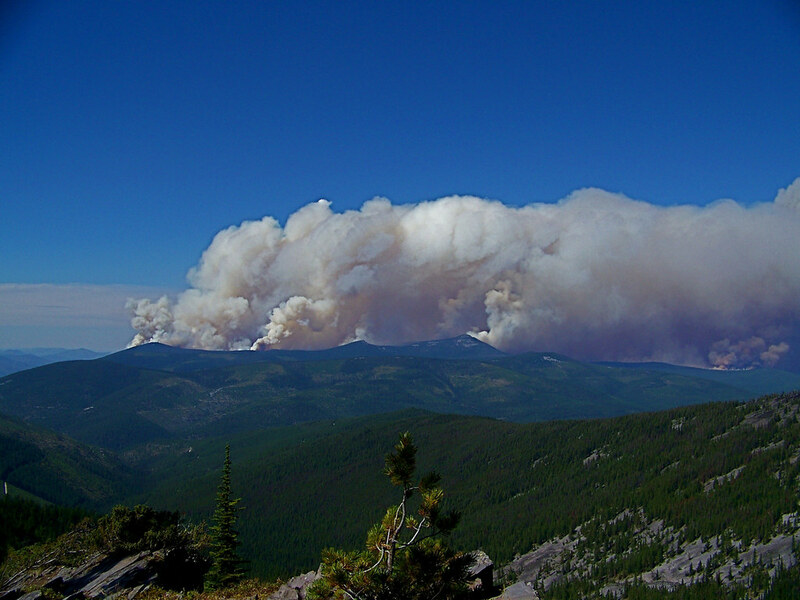 This is a photo of the 20,000 foot high smoke plume over the peaks taken on August 4, 2007 from Baldy Mountain about ten miles away to the south as the fire exploded up the northwest slopes of Cook Mountain and behind the Thompson peaks. 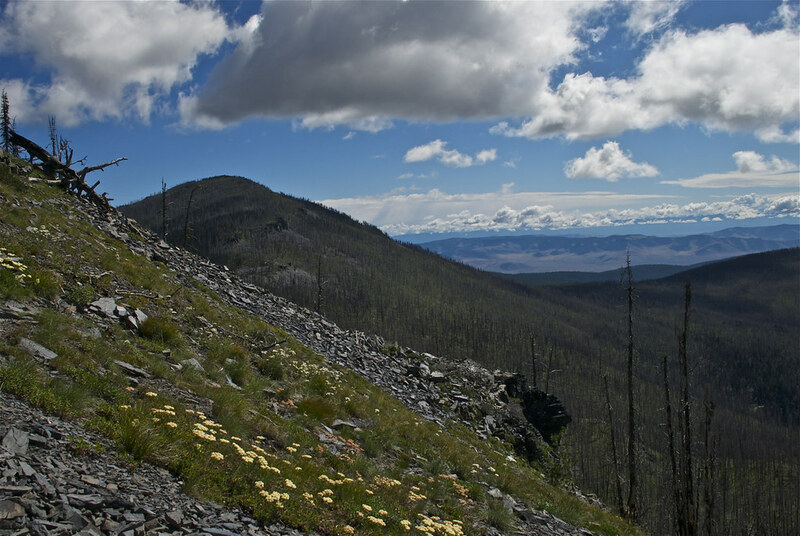 Little Thompson peak is the one about in the center of the photo. 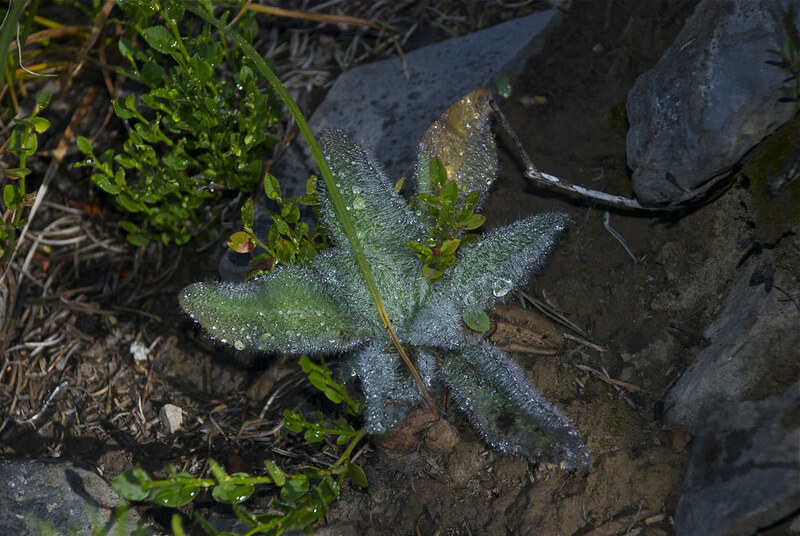 and this little frost-covered plant growing just beside the trail, making its own contribution to Nature’s restoration of the forest.